Ordinary hair fall shampoos only treat hair breakage. 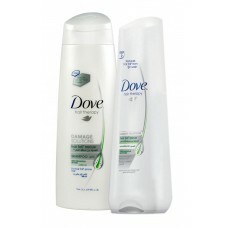 The-all-new Dove Hair Fall Rescue Treatment* strengthens and nourishes strands from the roots. It contains Trichozole active with Ginseng and Soy Protein that reduce damage at the roots and help lock your hair firmly in place - so you have the freedom from hair fall in just 2 weeks. Use Dove and see the difference. The Leave-On Root Intensive Treatment is applied daily, directly to the scalp, and works to visibly reduce hair fall. After just two weeks, hair fall is visibly reduced and hair is stronger from the roots.